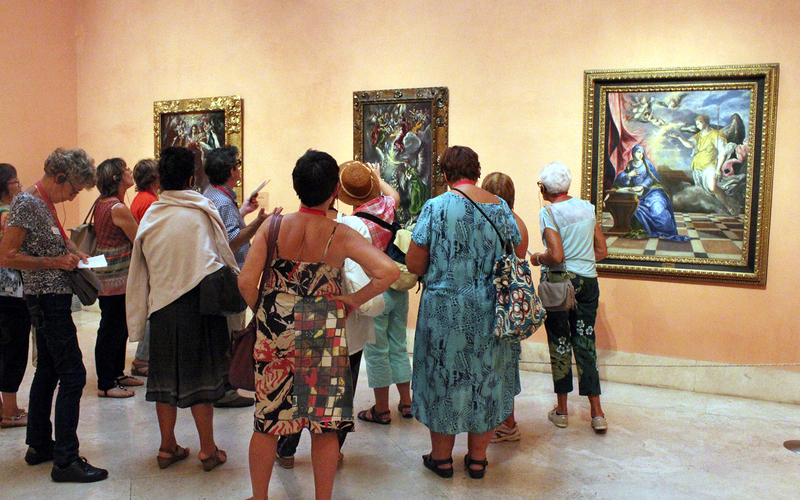 The Thyssen is the perfect place to indulge in artistic brilliance. It houses work from some of the most renowned artists in Europe from the 13th to the 20th century. Being the second largest private collection in the world, it consists of movements not represented in state-owned collections, such as Impressionism, Fauvism, German Expressionism and the experimental avant-garde movements of the early 20th century. With 70 paintings loaned from museums and private collections, some have never been previously exhibited in public. The museum also has a collection of North American paintings on display. Impressionist and Post Impressionist work from artists like Claude Monet, Auguste Renoir, Edgar Degas, Camille Pissarro, Alfred Sisley, Vincent van Gogh, to name a few, also add immense artistic value to the museum. With over thousands of awe inspiring paintings to marvel at, the Thyssen is known to have one of the most overwhelmingly large collections of art that is bound to leave you speechless. 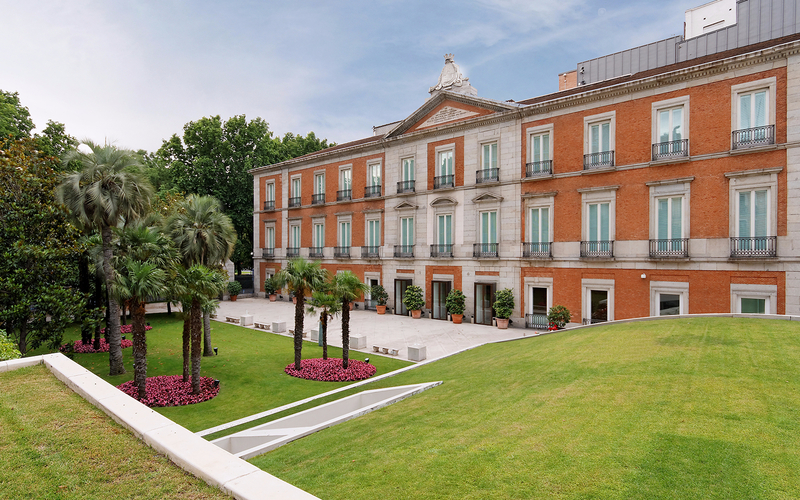 With the Prado and Reina Sofia in the same neighbourhood, it is bound to give you quite the artistic exploration with loads to do and several exhibits to see even after you cover the Thyssen. 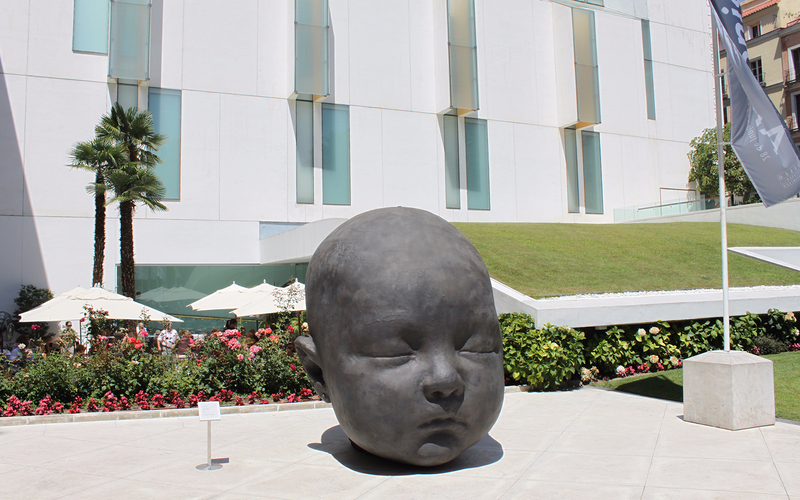 From 20th century works by Picasso, Braque, Juan Gris to earlier Renaissance artists, this museum is more than just a must-see! Once you book your tickets, you shall receive an email that shall contain your entry passes to the temporary and permanent exhibits of the museum. All you have to do is show it at the entrance on your mobile and you shall gain access to the museum without waiting in line! The permanent and temporary exhibits are at Exhibit A and B respectively. The temporary exhibits have limited entry and visitors are admitted at the assigned time every 15 minutes. In terms of the permanent exhibit, there are several notable works of Dutch, Italian and Flemish painters, along with leading works by leading Renaissance, Baroque and Rococo painters, including Antonello da Messina (Portrait of a Man), Fra Bartolomeo, Giulio Romano, Giovanni Bellini, Titian, Tintoretto, Veronese, Van Dyck, to name a few. The permanent exhibit is spread across 3 storeys – the ground, first and second floors. The second floor also features medieval art from the 13th and 14th century. The first floor is home to some masterpieces by Van Gogh, Monet, Pissarro, Picasso, Matisse, Edward Hopper and Juan Gris, to name a few. Finally, the ground floor contains works from the second half of the 20th century. Going through the different floors of the collection can feel much like travelling through the different eras of artistic expression, making the Thyssen the perfect getaway for art lovers and aficionados alike! It is the second largest private collection, after the British Royal Collection. With more than 1,600 paintings from the 13th-20th centuries, one can explore the depths of artistic expression through the eras. The permanent exhibit houses work of Dutch, Italian and Flemish painters, along with leading works by leading Renaissance, Baroque and Rococo painters. It is also home to some masterpieces by Van Gogh, Monet, Pissarro, Picasso, Matisse, Edward Hopper and Juan Gris, to name a few. The temporary exhibit is only available on designated dates and gives you an opportunity to explore exclusive art. These tickets to the Thyssen’s temporary and permanent exhibits gives you the privilege to skip ticketing lines. Tuesday to Sunday: 10:00 a.m. to 7:00 p.m.
You will get an email confirmation shortly. Please display the same on your mobile phone with a valid photo ID at the desk marked 'Acreditación Venta Online y Telefónica', located on the left hand side, as soon as you enter the museum.